Fact: Exfoliation is not something that is difficult to get people on board with. Reason: Humans love to use face scrub, and by humans I mean me, probably you . . . and almost everyone. Who doesn’t love that extra-smooth feeling of freshly scrubbed skin? It’s addictive. As a skin pro, I spend much more time trying to convince overachieving exfoliators to take a rest day than I do preaching the benefits of using a scrub in the first place. In addition to the instant gratification that exfoliation provides, doing it regularly encourages cell turnover (in other words, it triggers the body to produce beautiful, brand new baby skin cells to replace the old, dull ones that you are sloughing away). Most importantly, properly exfoliated skin is better able to absorb the serums and moisturizers applied onto it. 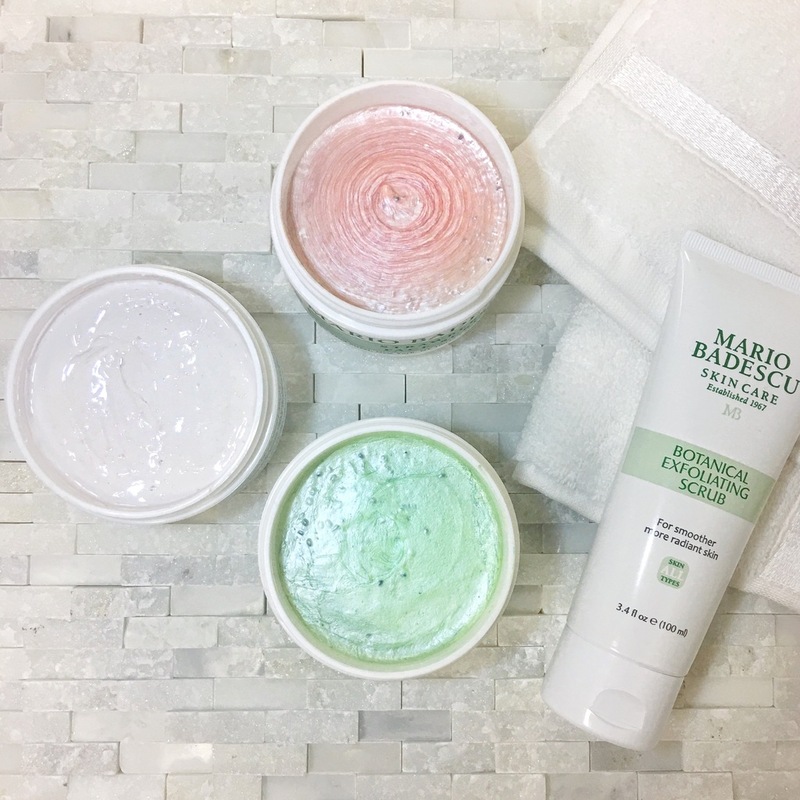 That’s right kids— (#MBSkinTip in 3 . . . 2 . . .) proper exfoliation makes the rest of your products work better. Now that we’ve established why we are all such motivated exfoliators, let’s determine which face scrub is the best fit for you. If you like to take a gentle approach to exfoliation, snag a jar of Strawberry or Kiwi Face Scrub. Cornmeal and actual fruit seeds work to brighten. Is your skin on the sensitive side? Almond & Honey Face Scrub is formulated with detoxifying Kaolin Clay, skin-softening Honey, and moisturizing Sweet Almond Oil. Ground Almonds and Cornmeal gently buff away dullness. #MBSkinTip: Almond and Honey Scrub can play double-duty as an ultra-gentle face mask. After exfoliating, let it set for 10 minutes before you rinse! If you like the feeling of a micro-fine exfoliant (sans microbeads! ), you will love Botanical Exfoliating Scrub. This luxe, gel-based formula is brimming with good-for-your-skin natural ingredients including: Coconut Extract, Green Tea, Ginger, and Gingko Biloba. Skin is left smooth and perfectly polished. Acne-erupted skin is delicate and may not be able to tolerate manual exfoliation (aka grainy scrubs), so get the smooth without the scrub by swapping your daily cleanser for Glycolic Foaming Cleanser three times per week. Which of these is your match?